Color in pictures 1) crimson 2) red. 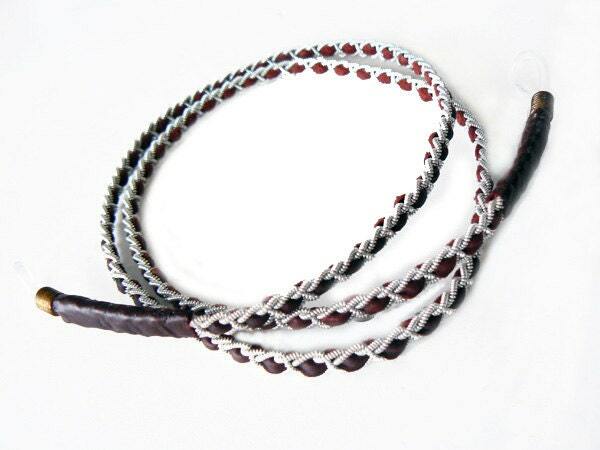 This lanyard is made of spun pewter thread and reindeer leather. The pewter thread contains 4% silver and is nickel-free. The materials are made and ordered from Lapland in Northern Sweden.